Syafiq Yussoff started his company with just two rented vans and today it is the logistics partner of Amazon Prime Now. For a time, Mr Syafiq Yussoff's face was seen on advertisements on buses and MRT platform screen doors, as part of a SkillsFuture and Workforce Singapore campaign. But call him a poster boy and the 34-year-old's face crinkles in embarrassment. "I am so glad I don't feel that sense of pride... You don't have a chance to walk around with your nose in the air because it has been so hard. "You don't have a choice but to just be humbled by the challenges," he told The New Paper. 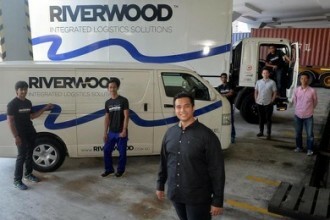 Mr Syafiq is the man behind logistics company Riverwood, which was thrust in the spotlight last year when it became Amazon Prime Now's logistics partner. He was also one of several success stories in the new economy that Prime Minister Lee Hsien Loong cited in last year's National Day Rally. Since then, he has been giving the occasional talk to share his experience - something he finds ironic because his audience is usually more educated than he is, he said with a chuckle. Mr Syafiq holds no degree. 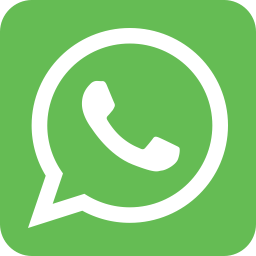 “There were many times I had to borrow money, especially at the initial stage, to tide us over a month or two until we got our payments in.” He dropped out of a mass communication diploma course due to financial problems. While serving national service (NS), he attended night classes for a business studies diploma. But the statistics module proved too tough. After failing, he decided against taking the test a third time, which would have cost him a month's pay in NS. "I decided not to let my life be determined by my qualification and to chart a different path," he said. Over the next six years, Mr Syafiq worked at building his career as a personal trainer. Starting Riverwood was based on his own hunch. "I realised something was brewing with this online (commerce) thing. I was doing transactions on Hardware Zone and eBay and realised there was some possibility there," he said. The business idea sprouted at a time when the logistics industry was just starting to grow. In 2010, with a bit of advice from clients from his personal trainer days, Mr Syafiq took the plunge and started Riverwood with just two rented vans making up a four-man fleet. Part of the cost came from his savings; the rest he supplemented with a loan. Every day, he operated from his bedroom in his mother's flat, where he used to live. With heavyweights such as DHL and FedEx already well-established in the industry, Riverwood got off to a rocky start. Though the company was never in the red, cash flow problems cropped up frequently because it often had to subsidise the cost for its clients until payments came in. At its lowest, the company's bank balance stood at $3, said Mr Syafiq. "There were many times I had to borrow money, especially at the initial stage, to tide us over a month or two until we got our payments in," he said. Thin margins and prioritising payments for rentals, overheads, staff salaries and fuel meant he was unable to pay the bills at home. Adding to the "crazy, crazy period" was the birth of his first child, a boy, in 2012. "When you come home and have a baby in your arms, and you realise you don't have electricity... It is not a fun situation to be in. "That experience made me realise I didn't have a choice but to survive," he said. Things started looking up after his serendipitous encounter that same year with Mr Ronan Hurley, who was with beauty e-commerce start-up Luxola then. The pair met when Mr Syafiq made a delivery to Mr Hurley. Mr Hurley, who is now the chief operating officer for Sephora digital South-east Asia, told TNP: "Syafiq had delivered boxes a couple of times to us and was always smiling and up for a chat. "This was a rarity among people delivering boxes to us due to the four flights of stairs they had to walk up and a lack of air-conditioning. "We decided to work with him as he was eager to get into the e-commerce business and was willing to be flexible to meet the needs of our business. This was unlike every other major service provider at that time. "Today, Riverwood boasts more than 70 vehicles and a 120-strong team that works out of a leased office space in Kaki Bukit. The interior is kept sparse and functional - most of the office furniture are second-hand, or bought at low cost. "We are not funded, so we just have to be realistic. I don't want to spend on all these and have trouble with cash flow. "I would rather be able to pay my staff and buy things that can turn around money," said Mr Syafiq. This mindset extends to his personal life, too. His Montagut shirt is a present from his wife; the Armani Exchange watch he wears also belongs to his wife. "I don't need to invest in a Rolex to go for a meeting to show that I have made it. I purchase things that can turn around money - these are the ones you need to invest in," he said. Today, Riverwood is in good stead, even if it is regarded as one of the underdogs in the industry. In 2016, it collected $3.3 million in revenue. Mr Syafiq is mindful not to rest on his laurels. "The prominence also means that everyone is watching our every step and what is next for us," he said. He is also grounded by the spirit embodied in his company's name, based on the village his grandmother was born in. "I, too, was born in a village in Bedok. 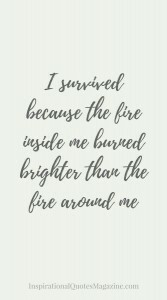 When you ground yourself, it helps you remember who you are and your humble beginnings. "That was why I named the company Riverwood. 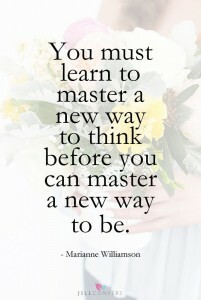 It is a reminder to myself," he said.